1、 Adopt new type double bend arm and four pull rod-clamping structure (won the patent).cross direction; middle mould board is move parallel; the distance between two mold boards is adjusted by the chain wheel.Thus, the clamping force is very strong. 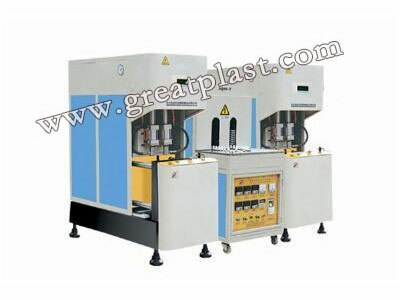 2、The machine frame is produced by the whole complete casting bottom, so that the machine are firm and running stable. 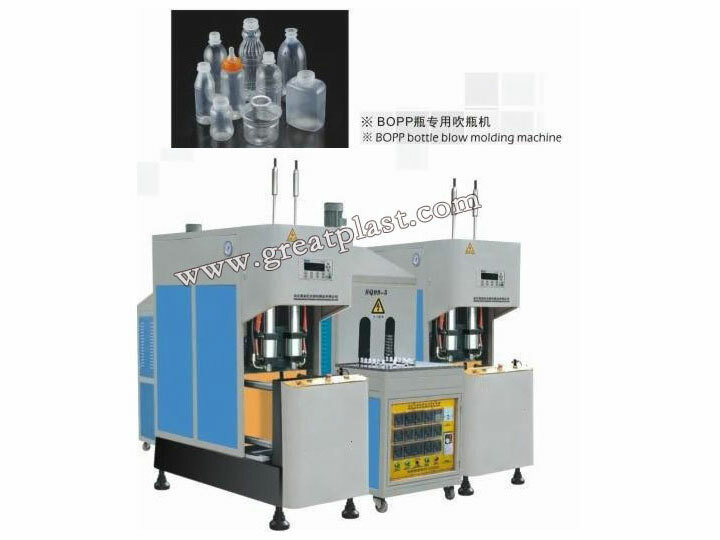 3、Adopt straight slide way, reduce the friction and lengthen the life of the machine. 4、 Double start marking button, which is designed for avoiding the injury. 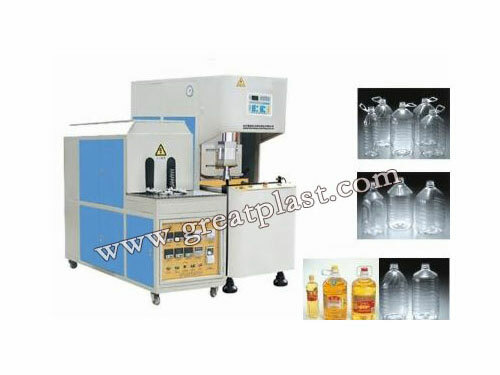 6、The single direction of pre-form placing and bottle picking, which increase the output. 7、Segregate type air controlling sysem, which is designed for avoiding waste pollution. 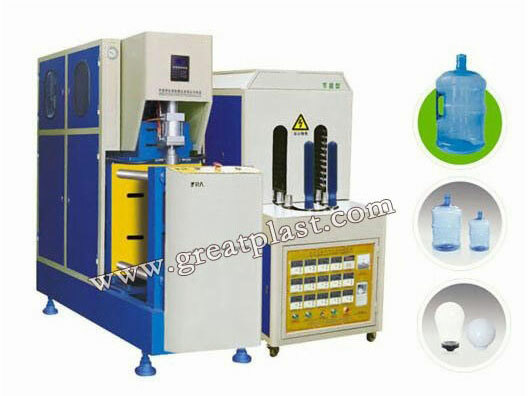 8、 The stretching air cylinder is adjusted paralled from front to back, from left to right freely by regulator.